Foraging for Shellfish, the original fast food, for taste, nutrition and availability, edible seafood from the seashore is hard to beat. They can be divided into two basic categories the molluscs (which can be gathered) and the crustaceans (which need to be hunted). Once, while anchored on the coast of Brittany, I was intrigued to see hundreds of French holidaymakers and locals busy digging in the mud along the low-tide-line. It turned out that they were scouring the beach for cockles. Whole families were clearly enjoying themselves in the sunshine and no doubt enjoyed eating the results of their foraging later. Needless to say I joined in and soon had more than enough for my own needs. Unfortunately, I didn't have much idea how to cook them, and my French wasn’t up to asking any of the locals. So, before setting off with your spade, have at least some idea what to do with your ‘catch’ once you’ve got ‘em. You also need to be aware that the most sought after ‘molluscs’ are filter feeders. This category includes many of the most sought after, such as oysters, clams, cockles and mussels. Filter feeders are constantly passing the surrounding water through their bodies to extract nutrients, unfortunately, they can also filter out and retain any toxins the water might contain. So, you must only gather them form coastal areas that are free from sewage or other toxic pollutants. And even in areas with a clean bill of health it is not a good idea, however tempting, to gather from enclosed or narrow stretches of water such as marinas, harbours or narrow creeks. ‘Algae Blooms’ are another cause of shellfish poisoning. These ‘Blooms’ usually occur in the warmer months but not always. Occurrences of these blooms will often be reported in the local news and by port authorities and or environmental health authorities. And many authorities will impose a ban on gathering if there is a health issue, so check with the local authority. It is also worth checking with local authorities as many areas have open and closed seasons and other restrictions for certain species, these are implemented to preserve stocks and violation can incur a hefty fine. And talking of seasons, for those in the northern hemisphere there is much to be said for the old saying that you should only eat shellfish when there is an R in the month. 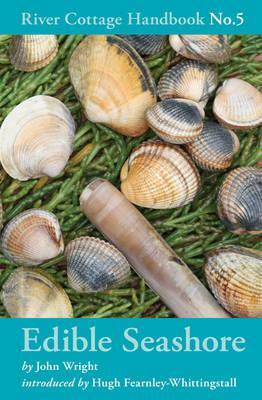 In other words avoid late spring and summer as this it the time when shellfish poisoning is most likely to occur. Allowing bivalves to purge themselves by leaving them in clean water for a few hours will help to clear out any sand etc from their intestines but won’t remove any toxic poisoning. Mussels are perhaps the easiest to shellfish gather at low tide, they will be exposed (no digging required) clinging to rocks, ledges or on the surface of sand and gravel bars. Mussels are also one of the most sustainable types of seafood. Oysters can be found just below the low tide line especially in the nutrient-rich shallow water of tidal marsh areas. You will find them on silt banks and attached to rocks and harbour walls. You may not need a spade but you will need some sort of implement to chisel them free from the rock, jetty or each other. And they do have sharp edges on their shells, so do wear a pair of thick gloves to prevent cuts. If you prefer to eat your oysters raw, opening them can be a challenge. 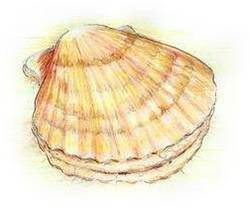 You will need a sharp knife with a strong blade to cut the strong muscle holding the shell halves together. Personally I much prefer them cooked, the added benefit is that a few minutes cooking will open oysters easily. 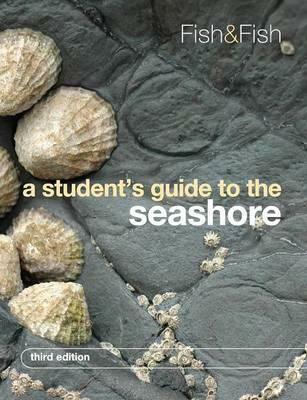 Winkles and Whelks prefer rocky shores rich with seaweed. They seem to have dropped right off the fashionable seafood lists, perhaps it’s because they are a bit fiddly, you’ll need a ‘winkle picker’ to eat them (anyone remember winkle picker shoes?). Even Limpets can be eaten but perhaps eaten is not the correct word as there doesn’t appear to be any way to render them less rubbery. 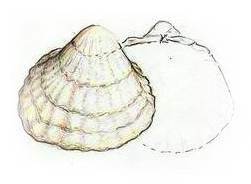 Clams and Cockles prefer to live in shallow water, with sand, gravel or mud bottoms where they can burrow from predators (foragers) yet still be able to maintain a steady supply of nutrient rich water. Occasionally, a few old shells left exposed, at low tide will give away the presence of a clam bed. Sometimes their breather holes can be spotted in the mud. But more often it is a tiny jet of water shooting from the sand under a footfall that betrays their presence. Then you’ve gotta dig them out with either a spade, rake or even just with your hands. Mostly they will only be a few inches below the surface, so there is no need to go mining. Be careful where you deposit the excavated mud/sand, don’t pile it up where it could smother any creatures below. And no matter how tempting, don’t excavate an entire shellfish bed to exhaustion. As with any foraging, only take enough for your immediate needs and be sure to leave enough to ensure the continued survival of the bed. 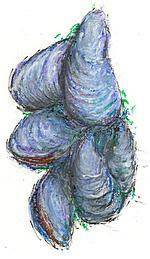 Clams are usually much easier to pry open than oysters, but as with any shellfish a few moments steaming works wonders. And most, especially those meaty razor clams only require a few minutes cooking. This group of shellfish includes those delicious aquatic animals such as crabs, lobsters, crayfish and shrimp etc. These arthropods are free swimming creatures that have to be hunted, and many of the bigger ones can fight back, so watch your fingers. Most can only attack from the front with their pincers but like all rules there are exceptions, spider crabs can reach behind with those long spindly limbs, so beware. Arthropods are creatures that have an exoskeleton, so no fiddly fish bones to worry about. There is an ongoing discussion which not event the ‘experts’ seem to agree on, do crabs and lobsters feel pain. “Kill quickly and eat soon”, should be every forages motto. Better to end any possible pain or even stress at being captured, quickly than to prolong it. Perhaps I should also add to that, don’t catch anything that you do not know how to deal with and don’t catch more than you can use. Catching Shrimp used to be part and parcel of a day at the seaside. Every seaside shop sold shrimp/prawn nets; they were as ubiquitous as a bucket and spade. Whether or not many were ever caught is another matter. However, any child can tell you that small tidal rock pools are an ideal place to find tiny immature specimens of many sea creatures. 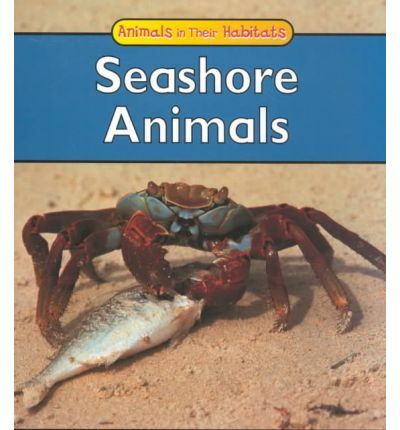 They are an ideal place for children to become acquainted with nature but you gotta feel sorry for those tiny shore crabs and immature, velvet swimming crabs, being gleefully chased, caught, put in a bright plastic bucket and then, hopefully, released again. But successful hunting, for the pot, requires a knowledge of the more mature quarry, its habits and its favoured habitats. 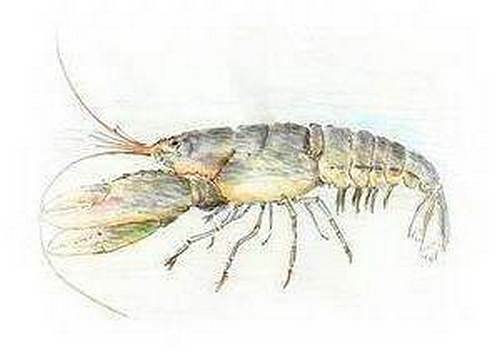 Shrimp prefer sandy muddy estuaries while prawns keep themselves to rocky shores and rock pools. 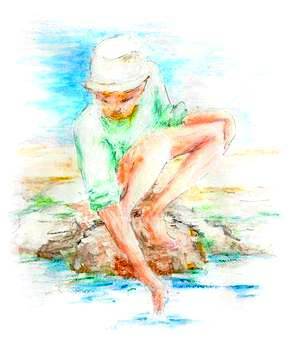 While the optimum times and places to catch them can vary depending on the sore, usually the best time is when there's very little current, such as slack water on a neap tide. It is possible to gather crabs within the intertidal areas but these will be tiny immature specimens. Reasonable sized specimens tend to remain beyond the low water line. 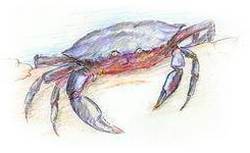 It is possible to catch them by wading out between thigh and chest deep or by diving but the preferred method is with a baited, lobster or crab pot. Here again, knowing the tides and currents and choosing the right time and place so important. And finally, you need to consider the weather. They do say that "fish bite better during rain" and that your chance of catching fish improves when the barometric pressure drops. However, these are also conditions which can lead to severe weather. So keep any eye on the forecasts, it might just be more prudent to buy some shellfish from the local market rather than put you, your boat and your crew in danger. Besides, if the weather turns wet and windy you will be miserable and I'm not sure that the rules for catching fish apply to shellfish.